AI or human testers? Testing times ahead. We all know the highly advanced algorithm Google employs to test the millions of content pieces submitted on its platform every day. But, recently an article mentioned that Google is now planning to hire human readers in the backend to ensure the quality of the content. This strengthened my belief in human testers, who still have an important place in the testing value chain, in spite of growing concerns that automation will take over the role of human testers. What spells the death of the human tester? 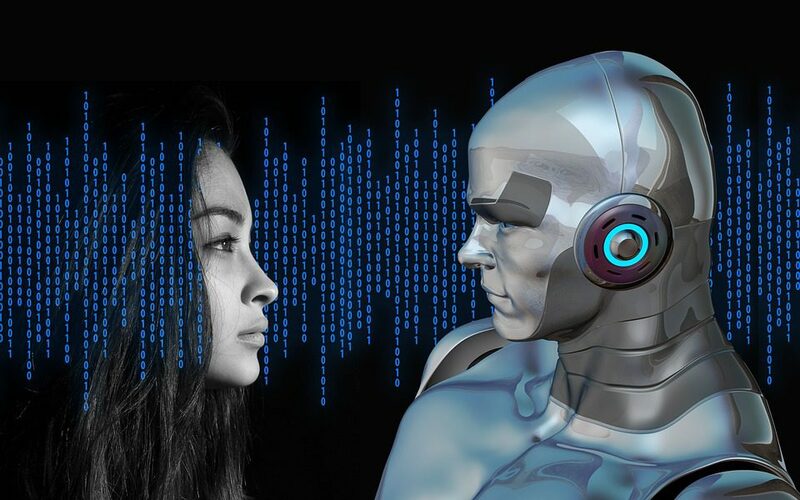 There are so many stories we read every day about how Artificial Intelligence (AI) and Robotic Process Automation (RPA) will mean to end to the human tester. While I am a big fan of AI and keep a keen eye on the developments in the field, I think we might be too hasty when it comes to ruling out the critical and essential value that human testers still have and most likely always will no matter how sophisticated the testing tools and technology becomes, here I mean even past AI to AGI and beyond. I think human testers occupy a special place in the testing value chain and their importance will only grow with time. My argument is based on the growing importance of design thinking and human-centered design we see in organizations today. The essence of design thinking is to keep the user experience at the center of product design. The purpose is to enhance the user experience by making it easier for them to use a product. To ensure this, I feel it is important that the final product should be tested and signed-off by a human tester. Plus, there are some technologies and software solutions and implementations that really will not be tested correctly for user-friendliness and human experience if only the programmed “narrow” rules and logic based AI systems end up “testing” them before they are allowed to be used by the more complex and demanding things these software systems were designed for in the first place: Human beings. Human beings need to test systems for humans when the system performs a mission critical or personal and social interaction purpose, at least for the time being. The decision to involve a human testers or employ automation should be based on the stage of development and the nature of the solution. AI and Robotic Process Automation can prove to be very handy for automating routine tasks which are basic requirements for any product or software but for more intricate matters, it is a good idea to quietly hand over the task to an experienced human tester. For instance, a repetitive task like regression testing and load testing can be easily automated. And Ai’s can and will perform more tests of data entry, functional tests, ramping up performance testing, even performing security testing, But once you are in the user interface territory where the interactions with the software involve creative and bidirectional interactions, you need a human tester to spot the real issues in a broader sense. It is easier for human testers to check if people can navigate through an app easily and get the information they are looking for. It is still faster and easier for human testers to interact with and verify/validate images and sound and video files or other media. Even minute nitty-gritty items on the screen like image resolutions and font size can be determined better by a human tester, at least for now. In a nutshell, AI and human intelligence have their special place in testing. In “controlling” or testing in the sense of pure Verification ( e.g. Is the system built correctly according to its specifications) things are and will even out between Ai and Human testing with even perhaps the chance for Ai to take over many testing tasks, but when it comes to broad validation ( e.g. Is the system we are building fulfilling the correct purpose? ) and also for the other aspects of Testing that require interactions with stakeholders such as reporting and discussing and helping in interpreting the test reports as well as discussing the nature of decision to release or not based on testing progress and results, I think the human testers still hold the edge. AI is growing and I welcome the use of AI properly in testing. Human testers have a new competitor in a sense. Now they must step out of comfort zone and prove their worth to companies. This means investing a lot of time in understanding the concepts of design thinking, usability and even searchability. This will also mean that the testers of the future will need to know how to test parallel and alongside AI systems and automation systems which also perform testing based on Algorithms and formulas of all kinds and covering almost nearly all testing tasks from test planning, test case design, test data management, execution, and reporting. Only when testers see where the Human Aspect is still needed for testing, can they ensure that the testers evolve with time and corner their added value for testing.